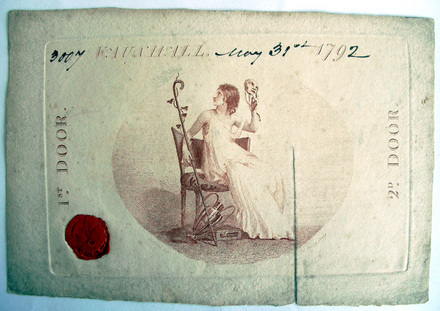 This is a ticket to the Vauxhall Theatre, London, for the evening of May 31, 1792. 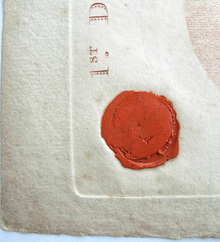 It retains the original wax seal, to prevent forgeries. Thursday, May 31 was the opening night for the new season, which this year included a masked ball.